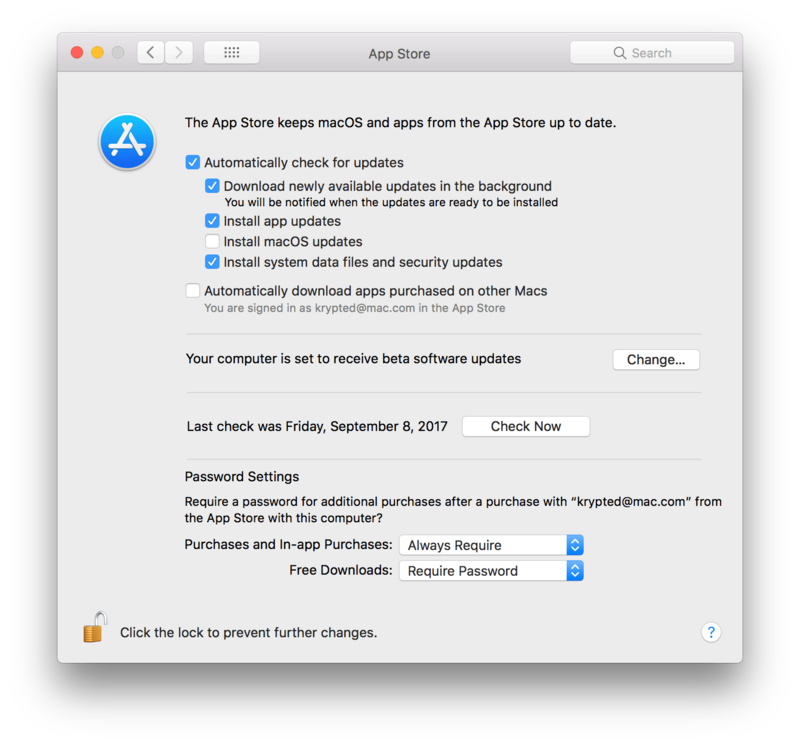 By default, macOS now updates apps that are distributed through the Mac App Store (MAS). Server running on macOS High Sierra is really just the Server app, sitting on the App Store, installed on a standard Mac. If the Server app is upgraded automatically, you will potentially experience some adverse side effects, especially if the app is running on a Metadata Controller for Xsan, runs Open Directory, or a major release of the Server app ships. Additionally, if you are prompted to install a beta version on a production system, you could end up with issues. 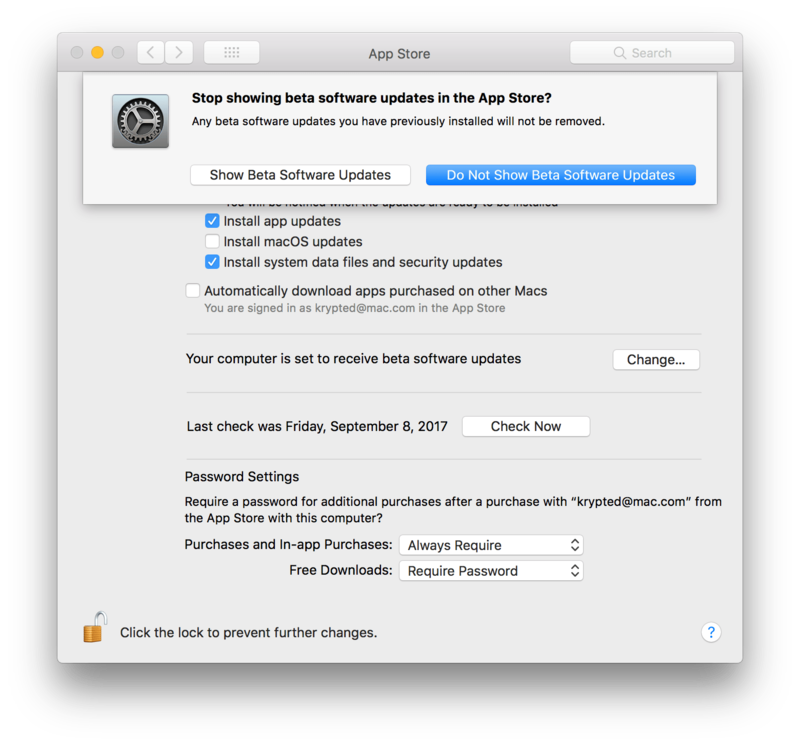 Therefore, in this article we’re going to disable these otherwise sweet features of macOS. To get started, first open the System Preferences. From there, click on the App Store System Preference pane. Once disabled, you’ll need to keep on top of updates in the App Store manually. My recommendation is still to create an image of your server before each update. If you see the field, click Change for “Your computer is set to receive beta software updates” and then click Do Not Receive Beta Software Releases. Overall, be careful with automatic updates. I like leaving checking enabled so when I sit down at the console of a server I get prompted to update; however, I don’t want servers updating and restarting unless I tell them to, after I’ve performed a comprehensive regression test on the updates.